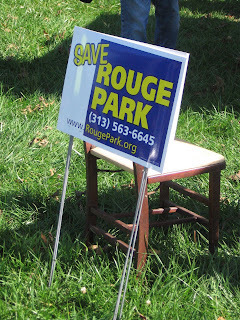 The folks at Model D Media published a write-up on Rouge Park in Detroit. Their article primarily focused on the groups of ordinary citizens who put so much effort into preserving, protecting, and promoting the largest park in Detroit. One can read their full article online here. Full disclosure: I used to write for Model D Media several years ago. I haven't had any business relationship with them in years, however.